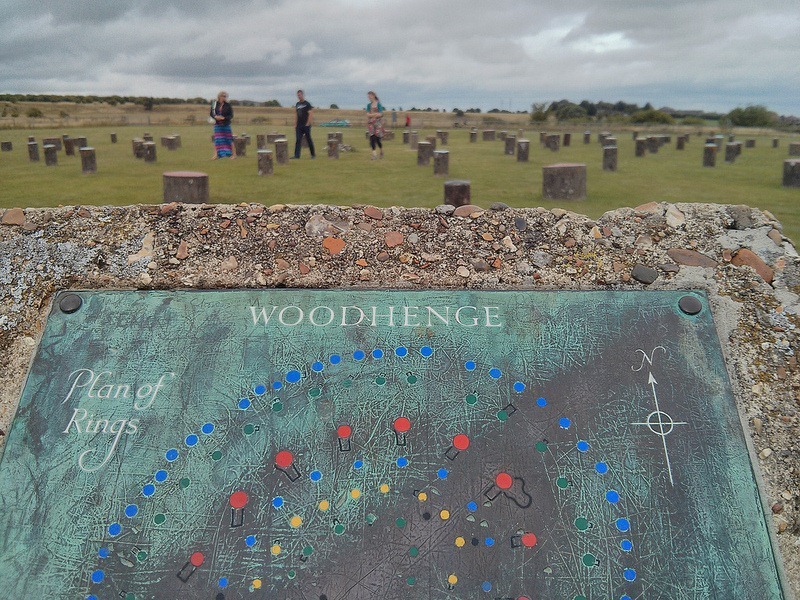 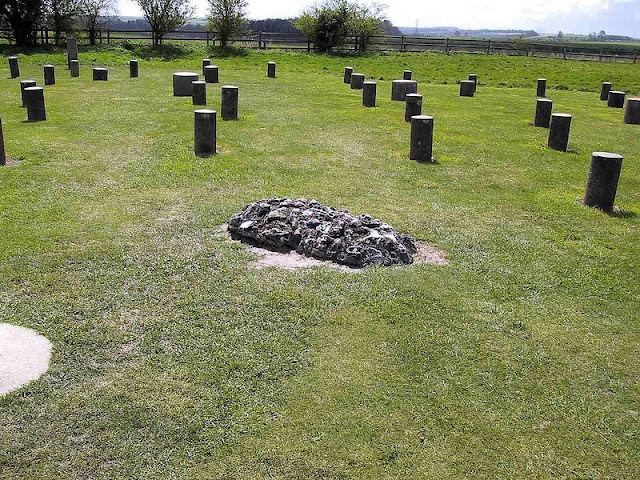 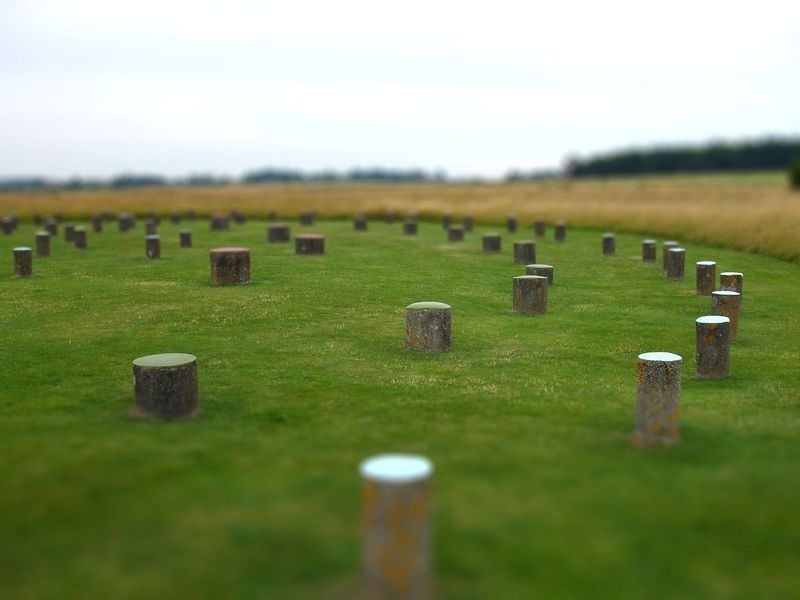 Less than 2 miles north-east of the famous Stonehenge stood another Neolithic-age monument but made up timber. Although the wood is long gone, archeologists discovered postholes arranged in six concentric oval rings, the outermost being about 40 by 43 meters. The postholes are of varying diameters and depths indicating that the posts were of differing heights. 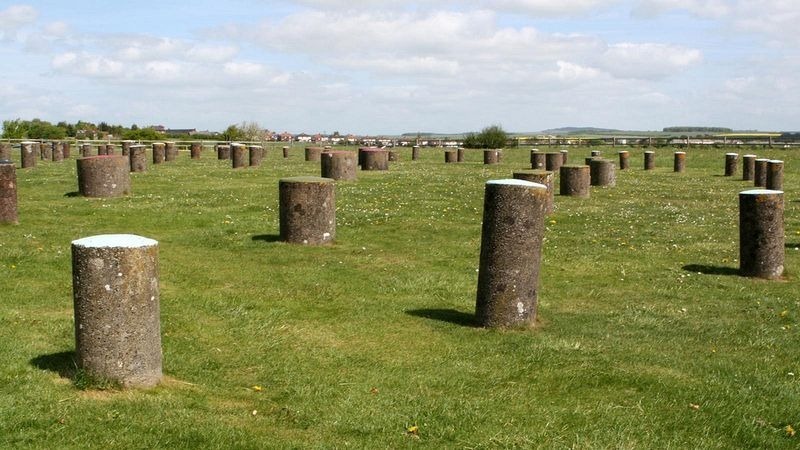 Some of these postholes are up to 2 meters deep and could have supported wooden pillars as high as 7.5 meters. 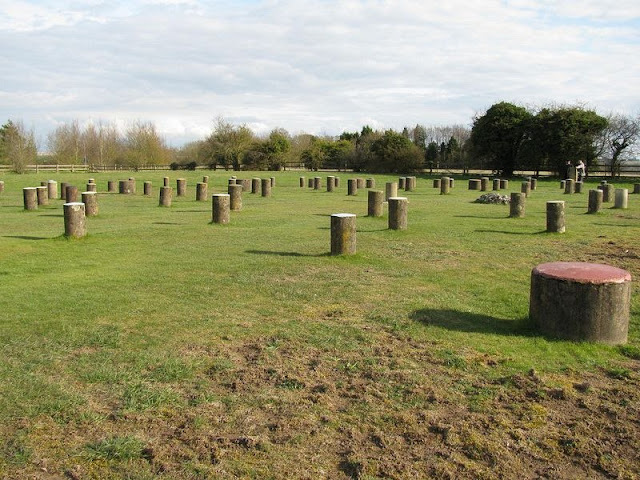 The positions of the postholes are today marked with concrete posts.